Fascinating Bargello, all straight lines and yet you can see curves! Now we can make this amazing design using jelly roll strips. You straight line sew and achieve lovely curves. Once confident in the technique your design ideas will flow. This class has been over subscribed at the Houston quilt festival for the past two years! Your jelly roll has 40 strips, 2.5″ wide. Choose 20 strips to make a wall hanging and where the jelly roll has repeated the same strips, you can use 40 strips to make a throw size quilt. Grunge Jelly rolls by Moda sometimes have two of each colour. 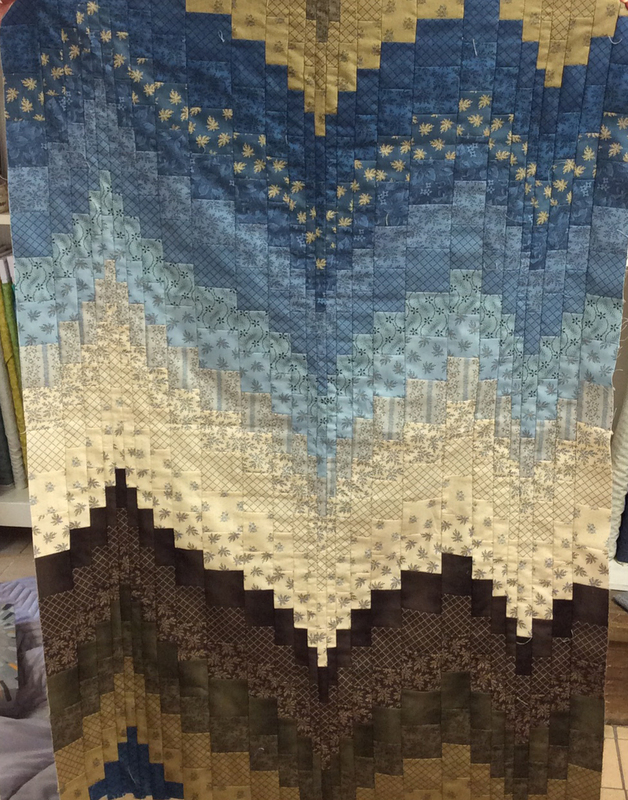 Book required: Jelly Roll Bargello. Available from June 2018.